In his best-selling book Outliers: The Story of Success, Canadian author, journalist and motivational speaker, Malcolm Gladwell introduced the 10,000-hour rule. He analyzed the habits of extremely successful people and determined that it took 10,000 hours of dedicated, deliberate practice to become a phenom or expert. This translates to about twenty dojo hours a week for a decade. Gladwell has his detractors, some of whom argue against a formula based on a fixed number of hours that emphasize quantity over quality, while others debate the definition of a true phenom or expert. 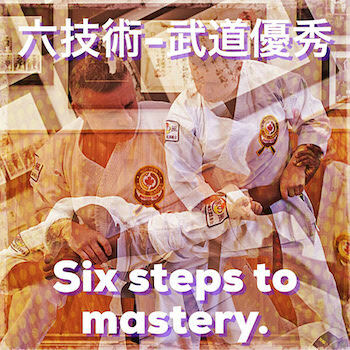 As a result, for the purpose of this blog, “mastery” is interpreted as advanced proficiency in a given discipline, art or style. Long-term, focused practice can make us better at many things. However, even if accurate, the 10,000 hour benchmark is unlikely to fit with modern martial arts training as few, if any, karateka can commit to twenty hours over the course of seven days. Time-starved students might attend classes five hours per week on average, and by Gladwell’s calculations, take forty years to “master” karate. Name it and claim it. Begin with well-defined, specific goals. Striving for “improved karate skill” is ambiguous, but “kicking above the waist and learning the first kata” are clear objectives. Deconstruct and reconstruct. A “simple” reverse punch is made up of many moving parts: a proper fist; accuracy; timing and extension; speed and power; chambering; and hip rotation. All demand attention. Less is more. Multi-tasking, working too quickly and overloading will probably not lead to mastery. Hone-in on every movement and skill to extract the most out of each element. Begin slowly, and focus on every component. Ask and you shall receive. Every world champ and Olympic gold medalist has an awesome coach. Solicit advice from your sensei. He or she is not just a technical advisor but a mentor who can guide you toward your objectives. Additionally, caring family and friends inside and outside the dojo can provide physical and emotional support. Maintain motivation. According to Gladwell, in addition to investing 10,000 hours, becoming an expert or phenom requires an emotional, logical, and logistical reason to continue. Motivation fueled by discipline drives us through obstacles toward excellence. Bottom-line: training merely as a means toward an end and enjoying the ego-bump when someone calls us “master” may keep us from realizing that our perception of proficiency shifts and changes with every achievement and each year of practice. Will following a particular rule lead us to “mastery”? Maybe. What is clear is the fact that developing proficiency requires establishing goals, engaging in purposeful practice, seeking guidance and support, embracing challenge and sustaining passion. If Malcolm Gladwell is correct, 10,000 practice hours will help us “master” our chosen discipline. If he’s wrong, at the very least, this substantial time investment will deliver a myriad of rewards and in the final analysis, help us “master” ourselves.